WASHINGTON — Michael Cohen provided a detailed account of a crucial and disputed element of his business dealings with President Trump in his testimony before the House Oversight Committee on Wednesday. Cohen, who was Trump’s longtime personal attorney and an executive at the president’s real estate company up until he took office, said Trump did not explicitly tell him to lie to Congress about the scope of their efforts to build a skyscraper in Moscow. “I lied to Congress [about] when Mr. Trump stopped negotiating the Moscow tower project in Russia. I stated that we stopped negotiating in January of 2016. That was false. Our negotiations continued for months later during the campaign. Mr. Trump did not directly tell me to lie to Congress. That’s not how he operates,” he said. Cohen went on to say Trump “made clear” that he wanted Cohen to lie about the timing of the project without directly saying so. Cohen noted that Trump regularly — and falsely — said he had no business dealings in Russia both during personal conversations in 2016 and in appearances on the campaign trail. “In conversations we had during the campaign, at the same time I was actively negotiating in Russia for him, he would look me in the eye and tell me there was no Russian business and then go on to lie to the American people by saying the same thing. In his way, he was telling me to lie,” Cohen said. “You need to know that Mr. Trump’s personal lawyers reviewed and edited my statement to Congress about the timing of the Moscow tower negotiations before I gave it,” said Cohen. 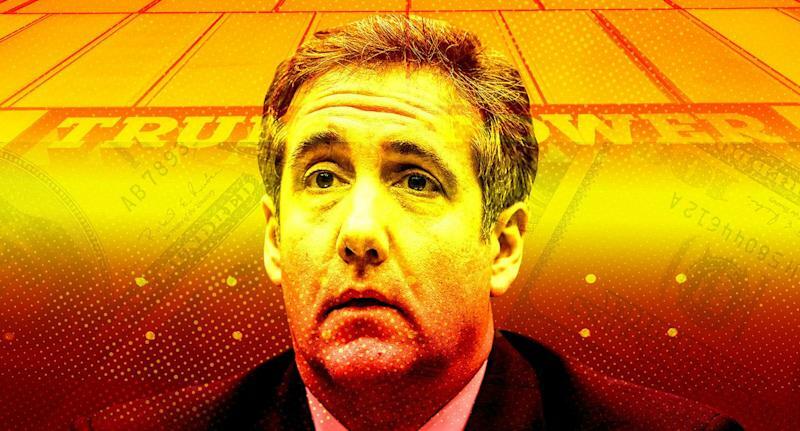 Last May, Yahoo News was first to report that prosecutors and congressional investigators had obtained extensive documentation showing Cohen pursued the project through the middle of 2016 and had likely lied to Congress. Cohen, who had a reputation as a fiercely loyal fixer for the president, was sentenced to three years in prison in December after pleading guilty to what a federal judge described as “a veritable smorgasbord of fraudulent conduct,” including lying to Congress about the Moscow skyscraper project, and arranging payments to women who alleged they had had affairs with President Trump in an effort to suppress their stories during the campaign. 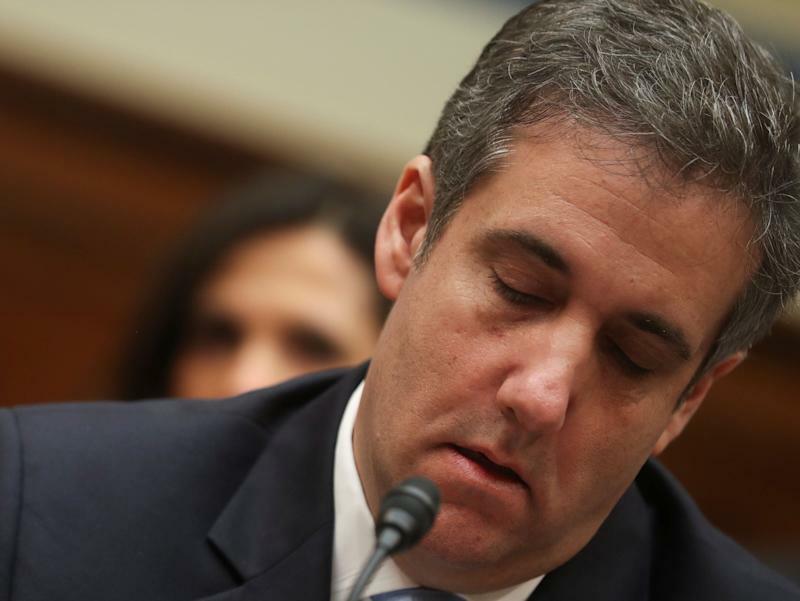 Cohen’s detailed description of Trump’s role in his congressional testimony comes in the wake of a report published by BuzzFeed last January attributed to two anonymous “federal law enforcement officials” that claimed Trump “directed” Cohen to lie to Congress. That report caused a huge stir because it indicated that Trump could himself be guilty of a crime, since many experts say encouraging false testimony before Congress is illegal. The office of special counsel Robert Mueller, which helped prosecute Cohen, quickly released a statement disputing the BuzzFeed story. “BuzzFeed’s description of specific statements to the Special Counsel’s Office, and characterization of documents and testimony obtained by this office, regarding Michael Cohen’s Congressional testimony are not accurate,” the statement said. “I made these misstatements to be consistent with Individual 1's political messaging and out of loyalty to Individual 1,” Cohen said of his false statements to Congress. During his testimony on Wednesday, Cohen confirmed that “Individual 1” was Trump. There have been previous indications that the version of events presented in Cohen’s guilty plea allocution was among the reasons that Mueller’s office disputed the BuzzFeed story. Shortly after the piece was published, the Washington Post reported that Peter Carr, a spokesman for Mueller’s office, sent the BuzzFeed reporters “a partial transcript of Cohen’s plea hearing” where he discussed his false statements to Congress when they reached out with questions before publishing their piece. BuzzFeed has stood by the disputed story. Yahoo News reached out to Carr on Wednesday to ask if Cohen’s description of Trump’s role in his false testimony matched the special counsel’s understanding. Carr, as is his custom, declined to comment but also suggested the answers were in the court record, which includes the allocution. “We’ll decline to comment beyond the court record,” Carr said. Along with providing further clarity on the disputed story about Trump’s role in his false statement, Cohen’s testimony was the first time that he had claimed the president’s legal team played a role in his lies to Congress. Yahoo News reached out to a spokesperson for Cohen’s lawyer, Lanny Davis, to ask which lawyers Cohen was referring to in this claim. The spokesperson said they did not know. Attorneys for the Trump Organization did not immediately respond to a request for comment about Cohen’s claim that the president’s lawyers reviewed the false statement before it was delivered. Former New York City Mayor Rudy Giuliani, who joined Trump’s legal team last April, said he didn’t know specifically whom Cohen was referring to. However, Giuliani said it would not have been unusual for Trump’s attorneys to review Cohen’s statement and that they were unaware Cohen was not being truthful in his characterization of Trump’s business dealings. “I don’t know. Wasn’t there then but there were in a joint defense agreement at the time and it would not be unusual. Of course, at that time none of the lawyers knew he was lying if he was,” Giuliani wrote in a text message. While Cohen said Trump did not explicitly direct him to lie to Congress about Trump Tower Moscow, he stressed that the president personally lied to the public when he repeatedly claimed he had no business deals in Russia during the campaign. Cohen said Trump was extensively involved in the Russian tower project and asked Cohen about progress on it “at least a half a dozen times” after the presidential primaries began.